I had the emotionally jarring pleasure of watching “Selma” last night with my mother. We were in tears within the first 60 seconds of the film. But, despite the predictable waves of anger, sadness (and relief) that occupied us while we relived the painful cultural memories (and feats) of the civil rights era, the film was undoubtedly a triumphant production. It was easy to see that director Ava DuVerney and British lead actor David Oyelowo were indeed snubbed by the Academy in not being nominated this year. I think director of photography Bradford Young was snubbed too — the film was intimately and beautifully shot. Beyond that, America herself was snubbed. As a country, we are celebrating the 50th anniversary of both the Selma marches and the Voting Rights act. You’d think the Academy would more wholeheartedly join the rest of us in a more sincere celebration. At the very least, four nominations would be worthy of the kismet timing of an incredible creative achievement like “Selma” to complement the anniversaries of some of the proudest moments for our nation. Or naw? The scenes of police brutality are expectedly disturbing. For me, it wasn’t so much the gore and inhumanity of it all, but the knowledge that many of the same attitudes and behaviors of the badge carrying, political power wielding racists of the 60’s, still loudly echo in the actions of their badge carrying, political power wielding descendants. From the Oakland BART Station where an unarmed black father Oscar Grant was shot to death, to the streets of Ferguson, Austin, Miami, Denver, Atlanta, New Orleans, New York City, and countless other cities across America. 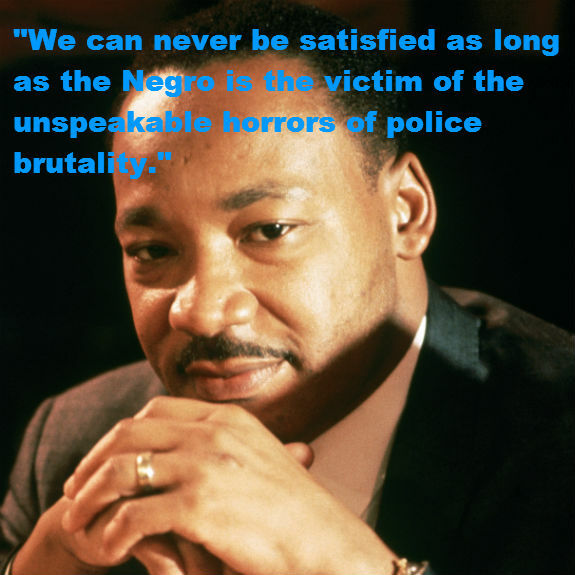 Police brutality and misuse of force is an outrageously common, everyday, often fatal battle for people of color. Previous White House appointed tasks forces on this matter have obviously proved inept. Amadou Diallo’s mother is deeply frustrated that we seem to be going backwards. And I, for one, am sick and tired of marching. People around the world have united in educating the uninformed that #BlackLivesMatter. President Barack Obama has asked for $263 million in federal funding to help pay for training and more than 50,000 police body cameras. And, you have subscribed to this blog. Plus, you keep your camera phone with you at all times.